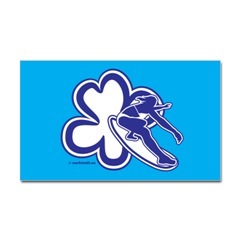 Two classic subjects of surf stickers are the hibiscus flower and pretty girls surfing. Can't believe no one has thought of this before. A girl surfing a hibiscus flower! A variation on the theme of a girl surfing and a hibiscus flower. 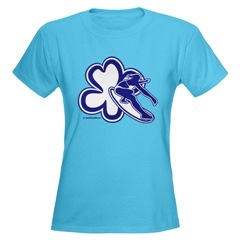 The Girl Surfing From Hibiscus Flower is also available on a Caribbean Blue t-shirt. Are you looking for a surf sticker in a different color? Or are you looking for a different design? Let me know and I'm happy to help!